Choosing Portable Radio Gear for Airline Travel. 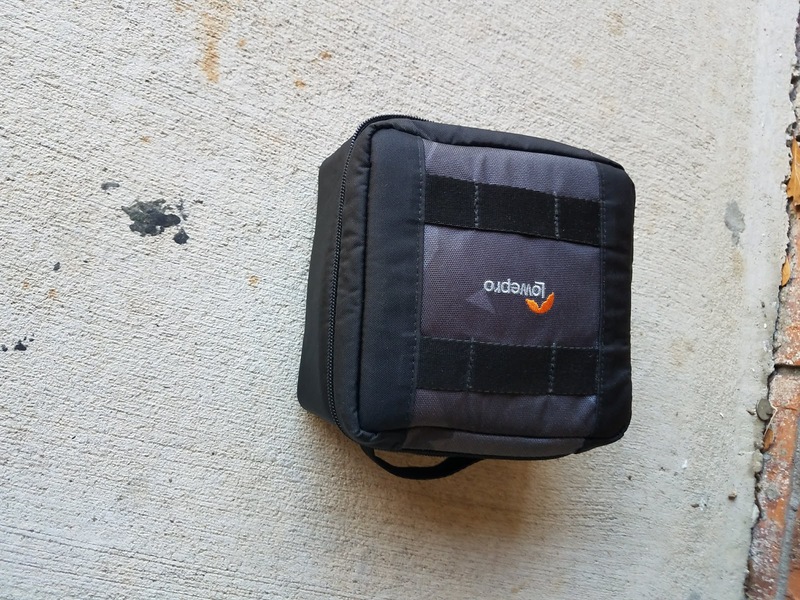 A trip out of state via an airline raises the question of what you want to pack for radio gear. It is a little different than driving to the local park. You could pack lots of goodies up to the airline limits but the gear would be a burden to lug around. 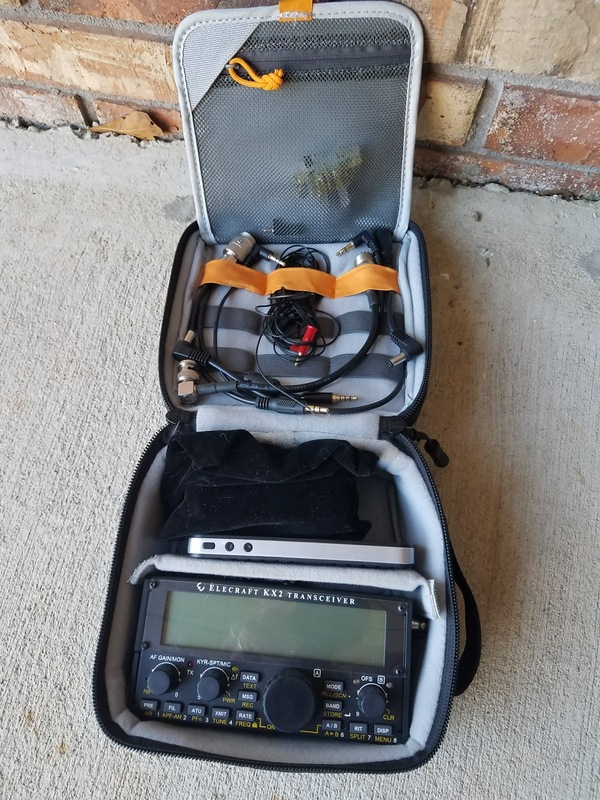 Fortunately, there are good options for portable radios like the Elecraft KX3 and Yaesu FT 817. In my opinion, the Elecraft KX2 has really nailed it for size and performance. It is smaller than a shaving kit, runs 10 watts all modes 80 through 10 meters and includes an internal tuner. The KXBT2 lithium-ion battery fits inside the KX2. I also have a spare. As far as I can tell the batteries can go in my carry-on bag with the rig. Also per the quote below my 10 ah, LiFePO4 could go as well. It is 120 watt-hours. Effective January 15, 2018, each Customer is permitted up to a maximum of 15 PEDs and a maximum of 20 spare lithium-ion batteries per person. Loose or spare cells or batteries (including power banks) must be protected from short circuit and transported in carryon baggage only. If the lithium-ion cells or batteries exceed 100 watt-hours, only 2 cells or batteries not exceeding 160 watt-hours each are permitted. Cells or batteries that exceed the 160 watt-hour limit are not allowed as checked or carryon baggage. Next, I will include my MFJ whips for 40, 20 and 17 meters. They let me use the KX2 like a handi-talkie for HF. I use a short counterpoise wire with the whips. This is the ultimate in portability. I even do CW while walking with the KX2 paddle. I treat the paddle like a straight key. My experience tells me the next go-to antenna is the PY1AHD Alexloop with a tripod. It is easy to set up in the room, on the hotel grounds or in the park. It will work 40 through 10 up to 20 watts SSB. This would be a good place to draw the line. Just have fun. If I get going on FT-8, it would help to make contacts out of the room with the Alexloop. The next tier to go includes LNR Trail-Friendly End Fed. It is very light and fits in your palm and why not the Wind Camp Gypsy Adjustable dipole. Of course, I better pack throw line and a throw bag. Beyond that, I have more options including the BuddiStick, Chameleon products including the Hybrid Micro and their whips. All good but the weight and bulk will start adding up. I have poles to support the adjustable dipole But that would go too far I suppose. Everyone can make their own choices, but I just have too many. It is a long story, but I foolishly let my original Drake 2-C and Drake T-4XB go. Of late, I was able to find another Drake 2-C on eBay and later the Drake 2-NT. This would be the ideal Novice station of the day. 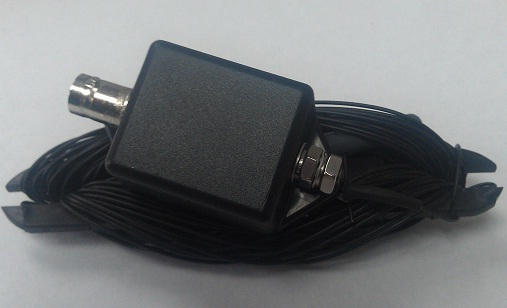 As required by the FCC the transmitter is crystal controlled and DC input power can be set to 75 watts. It seemed a good idea to replace the electrolytic capacitors as that is usually what goes bad in vintage rigs. 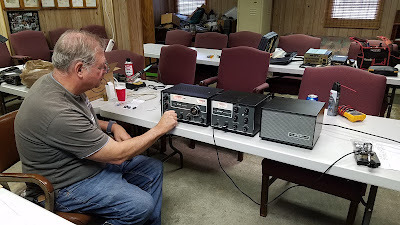 I got recap kits for the 2-C and 2-NT from Hayseed Hamfest. I let Phil N4STC replace the caps as he really knows what he is doing. The 2-NT transmitter came to life immediately after the recap. The 2-C receiver lit up but there was no hiss. Phil tapped a tube and it came to life. 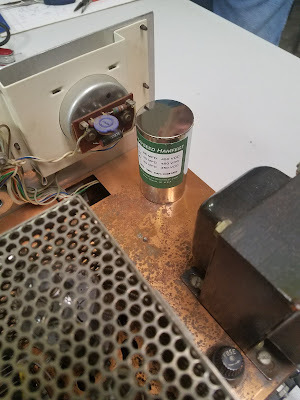 The tube was loose in the socket. Note on the video, I can increase the relay delay on the 2-NT to cut down the relay clicking. The pair works like a transceiver together. 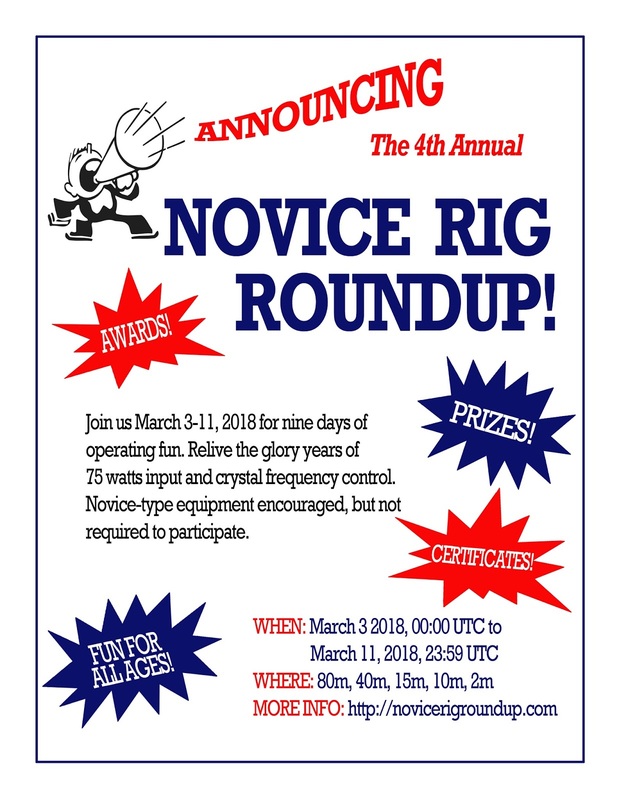 The 2-NT has the TR relay. The 2-NT also has mute and sidetone lines to the 2-C. You can use spot feature to find your transmitted signal on the receiver. I bought some crystals from AF4K. Note, crystal operating is a different game today. You will be unlikely to raise anyone calling CQ off your frequency. They don't tune around for a reply to a CQ like we did in the Novice days. So we ended up the session with a contact with Harry WA1GXC in Rhode Island on 20 CW. He just happens to be a Drake collector, the Drake 4 line in particular.a big thanks to Phil N4STC. He made my day! It happens to be my Birthday today so a great present this was. 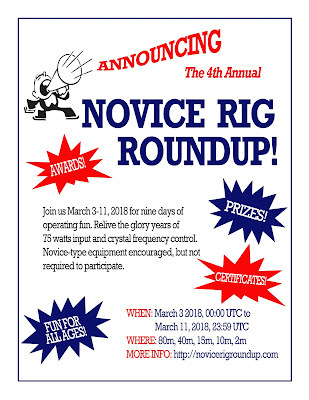 I now look forward to Novice Rig Roundup March 3rd to March 11th. Do you know where your Ham Buddies are? HamAlert is phenomenal! I can keep up with my buddies when they get on the air. They can keep up with me IF they setup HamAlert. I try to let them know where I am when I operate portable. It is difficult task via email. In the perfect world, all of them would use HamAlert. I registered for HamAlert at this link. The following screens are from the website. You can do the same with the HamAlert app for your smartphone. I use the app as the destination for most of my alerts. Note I can monitor KFF Parks On The Air activations, monitor myself and a list of callsigns for my buddies. I only monitor KFF on the weekend. There are lots of activations going on. Here are the details on my buddies list. It turns out for those that run FT-8, I get too many alerts. So I set up limits. I could change the limits for the weekend to get all the alerts. Below are spots shown on my Android smartphone. 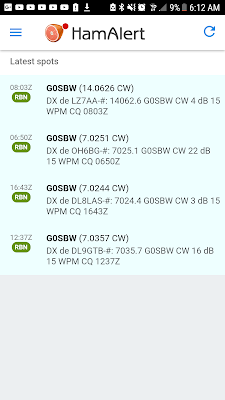 It is great to know that Tom G0SWB is on CW even if I am not near the rig. He is brushing up on his CW. Your settings will be according to your preferences. 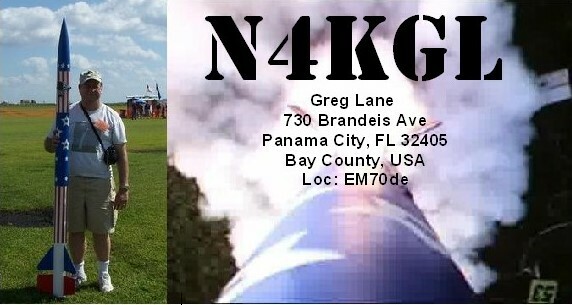 If you want to find N4KGL your chances are pretty good with HamAlert. BTW, send TEST DE YOURCALL on CW and you will trigger RBN. The alert comes back immediately. 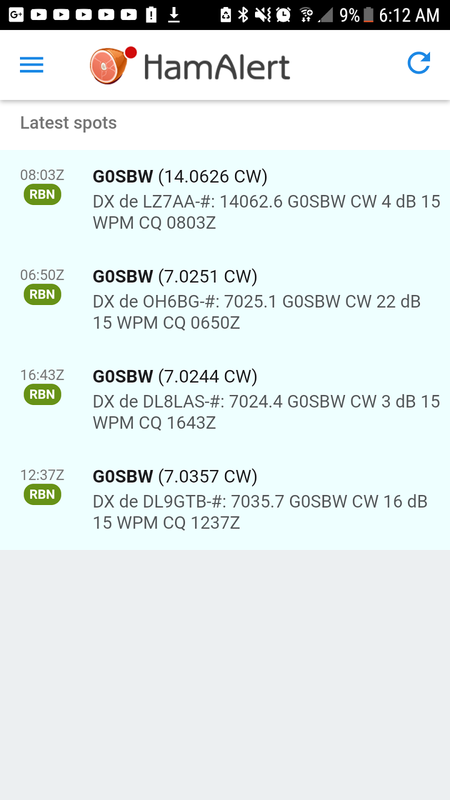 Note on SSB, I can spot myself on DX Cluster and the alert goes out. Easy! RaDAR Rapid Deployment Amateur Radio encourages combining physical activity with amateur radio. Sadly, exercise has not been a habit with me other than walking Suzy on weekends. 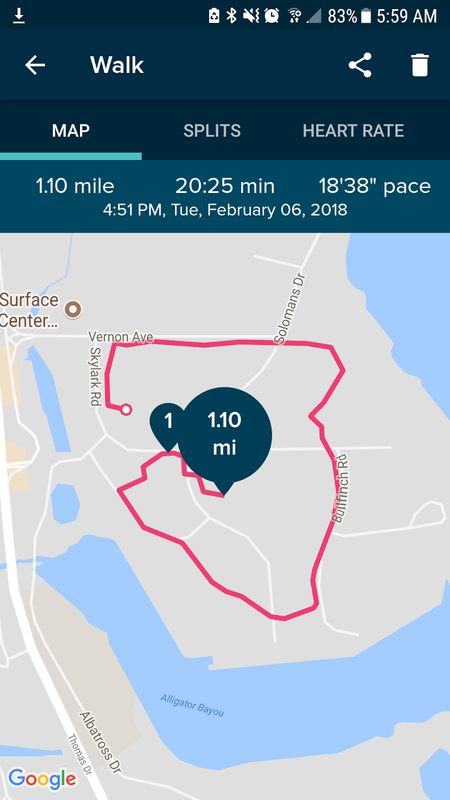 I have been able to do the one kilometer walks during the RaDAR Challenge, but pulling the cart was taxing. 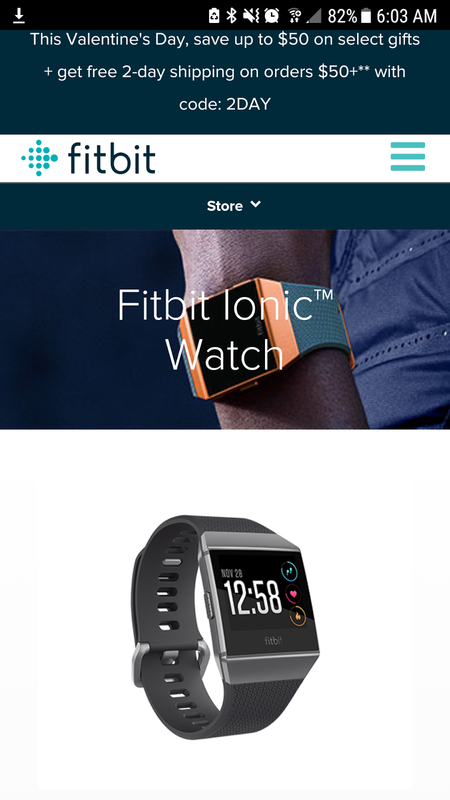 Now enter the Fitbit Ionic Watch. It was my Christmas gift from Linda. The watch puts much of the Fitbit technology on your wrist. It tracks steps and measures your heart rate. It also has a built-in GPS. There are apps that measure your exercise. It can do this without your smartphone but it does sync with my android phone. That is where the statistics are available. 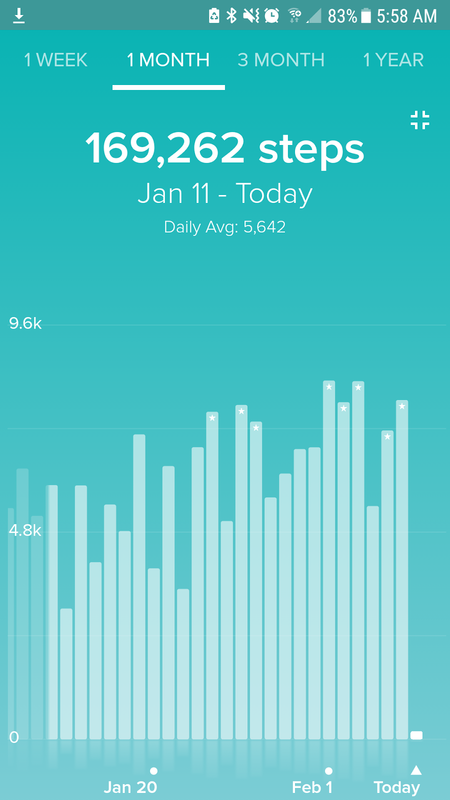 The Fitbit tracks your daily steps and encourages you to set goals and do more. It expects me to do 250 steps each hour between 9 AM and 6 PM. I have to get out of my chair at work to make that happen. It gives me credit for walking up stairs and general activity. Packing up for Winter Field Day showed up as an activity. The American Heart Association recommends 10K steps per day. 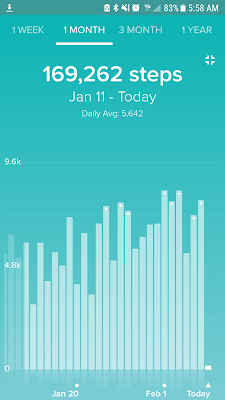 My normal steps per day would be around 3K. However, by doing two 10 minute and one 15 minute walk at work I am getting up around 7K. 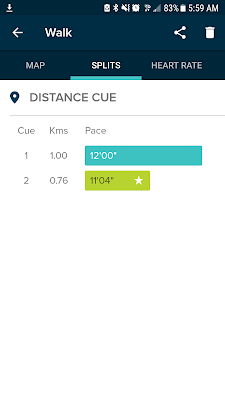 This should pay off on the RaDAR Challenge as I am improving my one-kilometer pace. I did get 10K steps once at a rocket launch. The walk exercise app lets me know when I have reached a kilometer. My exercise path is recorded by the watch GPS. I can review it later on my watch or PC. This will be handy for the RaDAR Challenge. Oh yes, the watch can play MP3 files through Bluetooth earbuds. I have some code practice files in mine. 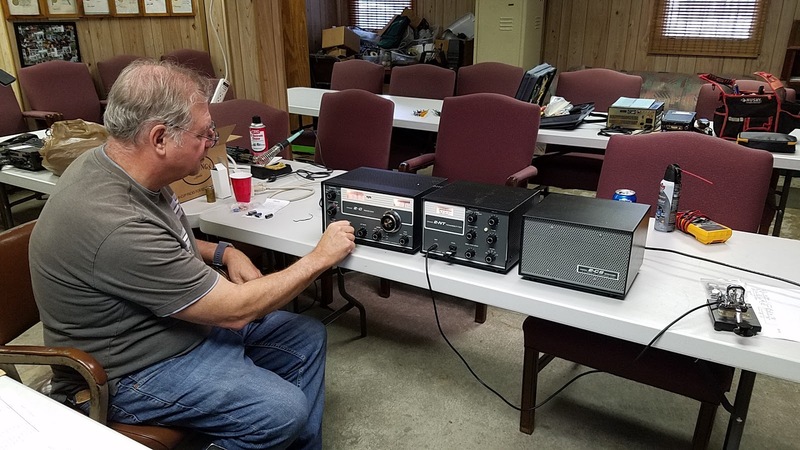 In QSO Today Podcast Episode 127 Booke Allen N2BA discussed "Flow State". Here is a quote. naturally. Of course, it is chemically induced but you create the chemicals yourself in your brain. Flow is that state that athletes talk about when they’re in the zone that you get when you're playing a game. Flow is when you get in that state when you have a challenge that exactly it matches your ability that it absorbs your entire being but doesn't demand more. If the challenge is too easy then used drop into a state called boredom and if the challenge is too hard, you move into its state called stress. Your goal is to do something that takes your entire being. Here is a quote from Eddie Leighton the originator of the Rapid Deployment Amateur Radio concept. 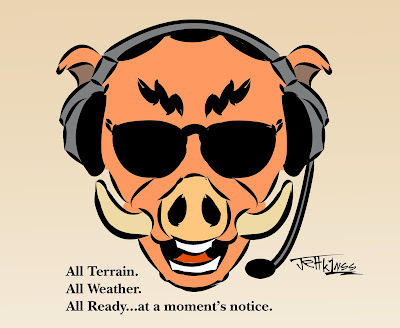 RaDAR is a challenge when compared to any other contest. Moving stations are required to move the specified distance after every 5 contacts (The first 5 contacts could be made from the starting point). This will test rapid deployment and re-deployment. Each operator will use his own initiative to achieve his / her goals. I discovered the flow state during my first RaDAR Contest (now called RaDAR Challenge) in April of 2013. 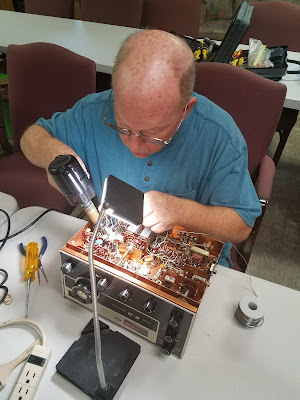 In my blog post, I stated, "I had the most fun I ever had in Ham Radio." When you put a time constraint on RaDAR it will challenge you, particularly on foot. Within the four hours, you must walk briskly to conserve as much time for operating the radio. You may be on the sandy beach or you may be on a road. You are impacted by the weight of gear is you are carrying. It has to be everything you need at the next location. When you set up you must select an antenna if you have more than one. If you are using trees for the antenna you better spot that limb you need quickly. You will choose a band and mode you believe will net five contacts. You will assess what you hear on the band. If you have no luck you better choose the next band quickly. You leverage on what activity there is on the air. You look for other RaDAR operators for RaDAR to RaDAR contacts. You may decide to make a digital contact or a satellite contact for bonus points. Your outcome will depend on your preparation and practice between challenges from a gear and operating perspective. 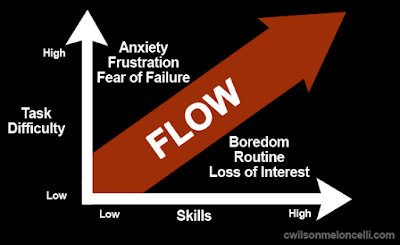 In any case, you may achieve the Flow State when the challenge exactly matches your abilities and you are completely consumed. I consider I am really there when I can make four deployments within the four hours. It works for me! I look forward to every RaDAR Challenge. They are the first Saturday in April and November and the third Saturday of July. If you are interested please visit the home of RaDAR at http://radarops.co.za/ and the RaDAR Google Plus community. 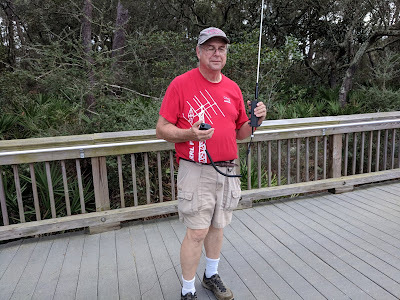 Also, listen to Eddie ZS6BNE's QSO Today Episode here and to Brooke Allen N2BA's QSO Today Episode here. My thanks to Eric Guth 4Z1UG for making these and the other 178 and counting QSO Today Podcasts.